Exceeding international standards rather than just simply complying with them is a long-established part of the ECOFILL quality strategy. This can only be achieved by having the most highly skilled, dedicated technicians using the most sophisticated equipment available. 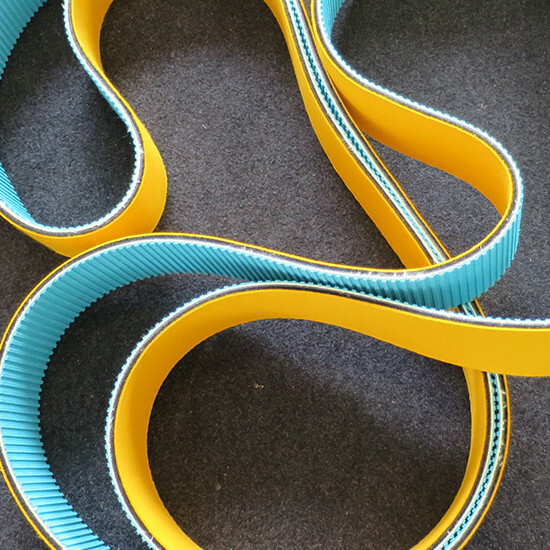 Simply maintaining ECOFILL’s reputation for producing the best (timing) belts for Aluminum Extrusions in the world is only part of the story. 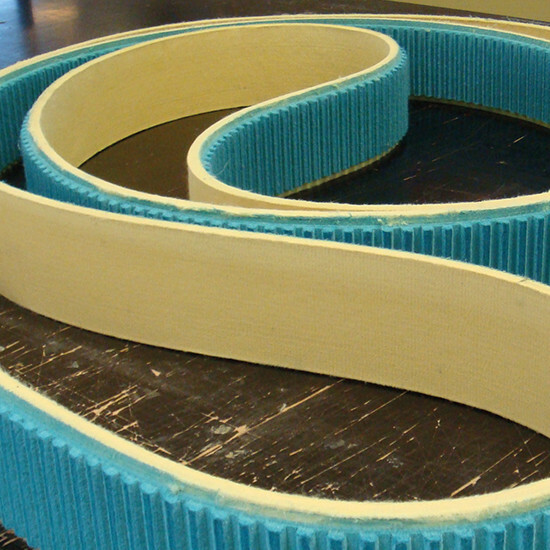 ECOFILL has created a ‘new generation’ of timing belts that can withstand just about anything. 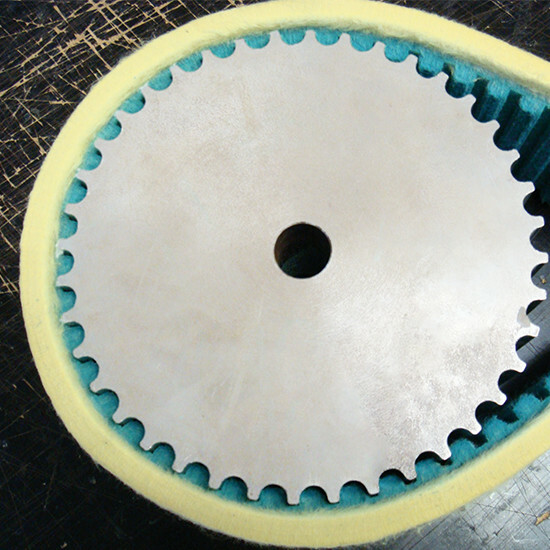 Belts for highly abrasive, extreme hot Aluminum profiles. 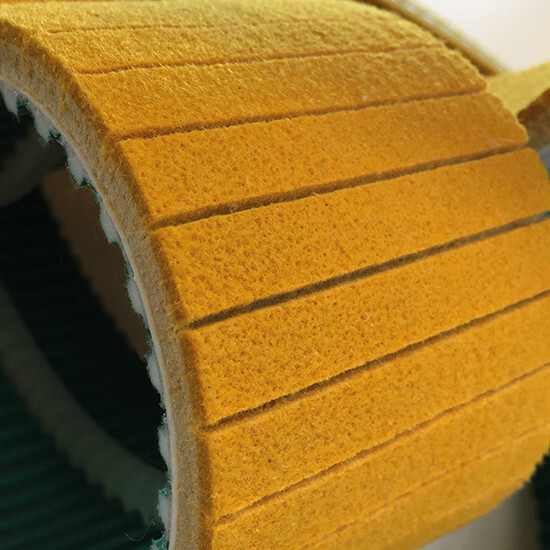 ECOFILL belts can handle it all! 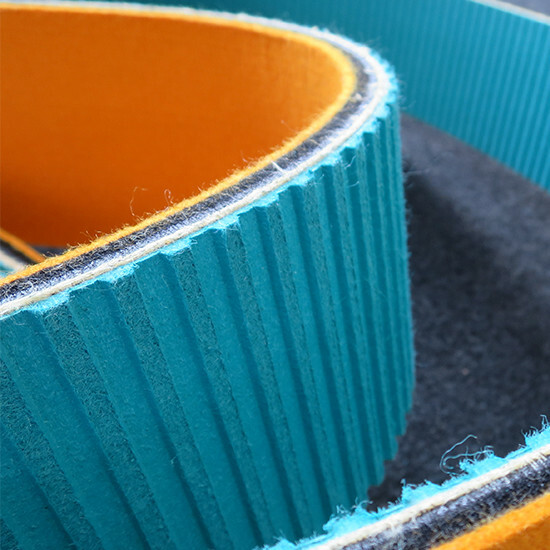 All ECOFILL products have been tested to the limit ensuring that our conveyor belts perform exactly as they are designed to do. The modern Aluminum extrusion industry demands ever-increasing standards of safety, quality, productivity and cost effectiveness. 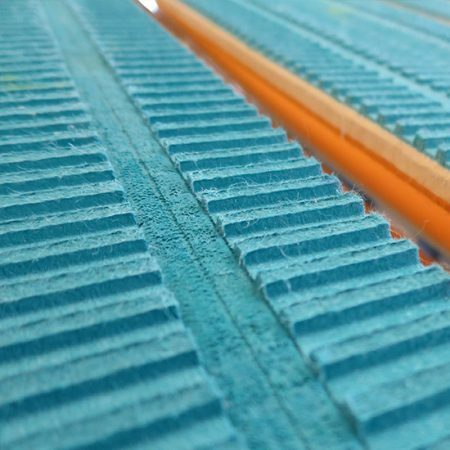 ECOFILL conveyor belts provide outstanding value for money because of their superior life-expectancy, excellent resistance to heat, abrasion, and leaving no marks or dents on the extruded profiles. 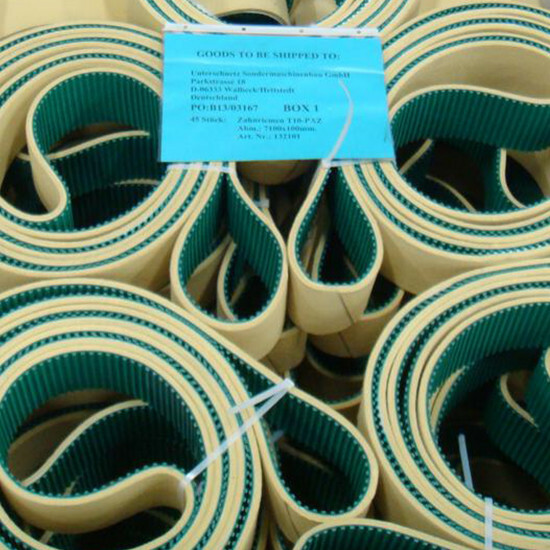 ECOFILL Conveyor Belting has an outstanding track record of product innovation and development. We are extremely proud of the fact that our products have become the benchmark for the global Aluminum extrusion industry. 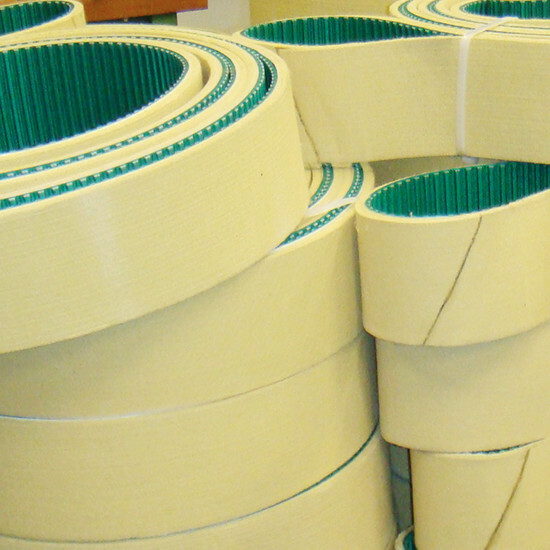 ECOFILL Conveyor Belting has developed a wide variety of CONVEYOR BELTS over the years to meet these demands in every stage of the extrusion process. are completely endless, NO joints (unless you want them). do NOT contain any polyester material. will stretch less than 0.1%. 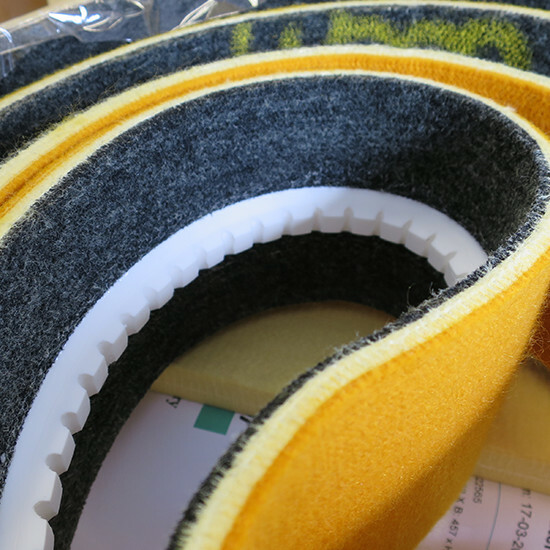 have hard edges on the driving sides to prevent the belt from getting astray. have a special backing that gives up to 40% more grip on the driving pulleys than other belts and 30% less friction on the arms. Virtually no elongations/stretching due to wear. No need for tensioning devices. Reduced cost associated with downtime on top of lost productivity. Precision registration and timing with no loss of high torque carrying capability.